On Christmas Eve, I had a conversation with a friend about the tricky age and stage when children begin to question whether the Santa story is factual. It took me back to my childhood in a humble farmhouse in Ontario. Our mother was very creative and skilful in the craft department. She also taught us that it is important to please others. One Christmas, “we” decided to delight Santa by decorating one of the beautiful Red Delicious apples she had purchased for the treat bowl at Christmas as a replica of himself. Wouldn’t he be surprised? We got to work. A marshmallow became Santa’s head, fastened atop the apple with a toothpick. A red construction paper cone trimmed with cotton batting, saved from pill bottles over the year, became a hat. We got out the India ink and carefully painted a black belt around the fullest part of the apple. More cotton batting for his beard and coat trim finished off the effect. A glass of milk fresh from our cows and a home-made cookie completed the snack. 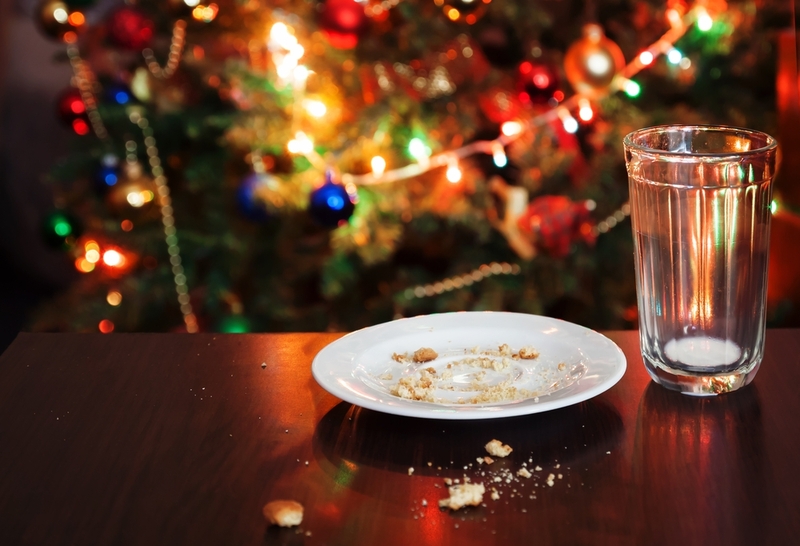 On Christmas morning, the glass of milk had a thin white scum in the bottom, and the cookie had left only a few crumbs. There was no sign of the apple Santa. He must have taken that along for the journey. Maybe he wanted to show it to Mrs Claus before he ate it. We smiled, imagining the possibilities. When I opened my tin lunch box at school in January, I was delighted to see Mom had packed a Red Delicious apple. I had thought we had finished them during the holidays, along with the large navel oranges we had only at Christmas. Imagine my dismay when I saw traces of black ink around the circumference of the apple. Perhaps I had begun to have lingering doubts, but those tell-tale black marks sealed the deal. I had a heart-to-heart with Mom when I got home. She was busted. Do you remember your moment of truth around the Santa legend? This entry was posted in Writing on December 26, 2018 by Wilda. My memory has faded! But I do remember that apple Santa. I looked online to see if I could find an illustration of anything similar. Alas, I think he was one of a kind. Like our family, dear sister.